Purchasing a home and selling a home are two very different experiences. While both require a lot of time and dedication, one is definitely more enjoyable than the other. Finding your home is a build-up. The moment you do come across the perfect space is electrifying because there’s even more fun to have. Decorating, picking out paint colors, and home renovations are all just part of perfecting your house. 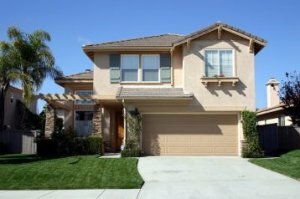 Selling your home As Is in San Diego, however, is a very different experience. Whether you need to relocate to another city or country, are going through a divorce, were burdened with a vacant property, are going through financial hardships, inherited a house that you do not want or need, or are looking for a new property, the same hassles apply to each situation. A used home doesn’t have the same appeal as a new home. There’s more wear and tear and costly damage repair. The foundation could be cracking, and that is more than a quick clean can fix. But the house needs to look it’s best in order for you to be make money and move on with your life. Nobody wants to buy your postponed and forgotten projects: the basement that was never finished, the half-demolished bathroom, and the outdated carpet. You need to tour your home with a critical eye and ensure you fix the cosmetic problems, the functional repairs and needed upgrades, and the problems you cannot fix. Not only will this help to elevate the home and create more appeal for your house to sell As Is in San Diego, but it will also help you price the house according. Don’t be stubborn or prideful because problems you cannot fix must be made known to the buyer. You need time to focus on selling your house: time to complete necessary repairs, time to clean, time to dedicate to staging. You will need to declutter and clear out your home from the everyday life that will ruin the illusion of the home. No one wants to see piles of last season’s clothes, personal decorations like family photos, tacky sporting equipment, and unappealing or damaged furniture. The more spacious the home, the better chance you have of quickly selling your house As Is in San Diego! Keeping up with the market is the equivalent to having a full-time job. You need to schedule showings so people can see the space. But then you have to take time out of your day to be at these showings, and issues such as no-shows and late-shows will always arise. Getting an offer is great when you are trying to sell your house As Is in San Diego! However, you will have to negotiate terms because the paperwork has only just begun. It takes about 6 – 8 weeks to close a sale (a home inspector needs to see the space, you need to co-operate with the lender’s appraiser, provide buyers and buyer’s agents, lawyer, get in touch with other professionals with legal documents, contact the lender to start a mortgage payoff process, and make your own arrangements to move); or you can contact a home buying company to sell your house As Is in as few as 7 days from the day you make the call.